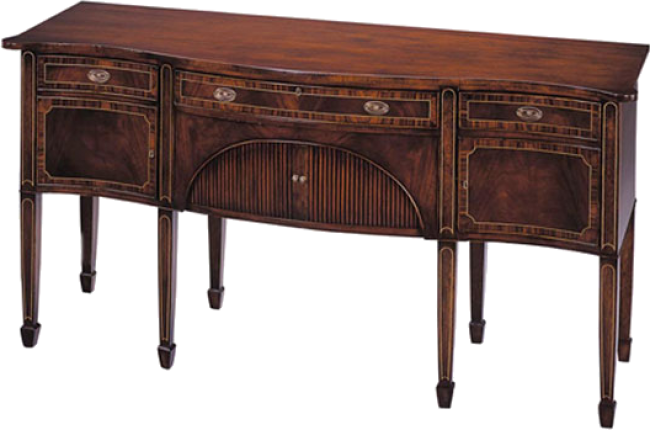 Serpentine sideboard with two short drawers over cabinets and one long drawer over a Tambour cabinet. Square tapered legs terminating in spade feet. Pictured in Mahogany.